Add extra comfort, warmth and luxury to your existing bed. Not only does the topper provide the ultimate comfort, it also creates a protective barrier to dust mites making it ideal for allergy and chemical sensitivity sufferers. The topper is hand filled layer by layer with the highest quality of mulberry silk and encased with pure silk for extra luxury & hypoallergenic purposes. The mattress topper is a thick pad and is designed to fit exactly on the top of the mattress for a neat fitting. 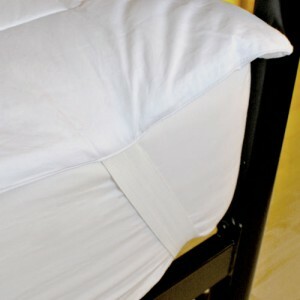 It comes with strong elastic bands at the four corners that you can easily loop over the corners of the mattress. The mattress topper is made without the use of chemicals. 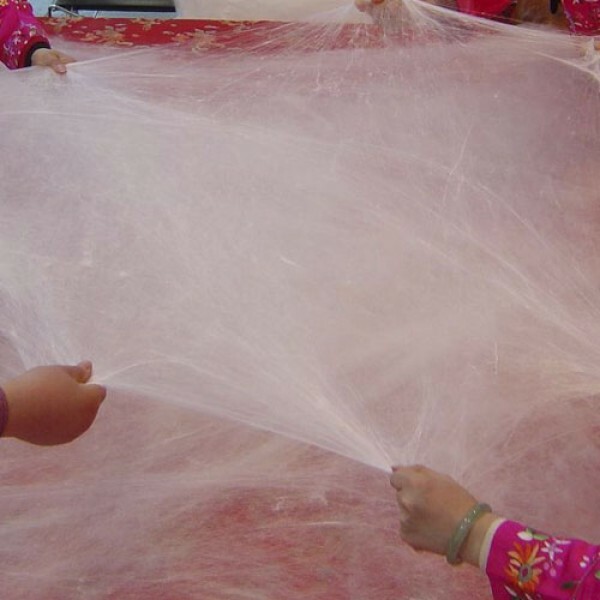 Only water is used to help unravel the silk cocoons so that they can be hand stretched into a silk floss that feels as light as a cloud. Certification: Oeko-Tex 100 European Test for Chemicals. Hand made from 100% hand extracted long fibre mulberry silk (the best type!). 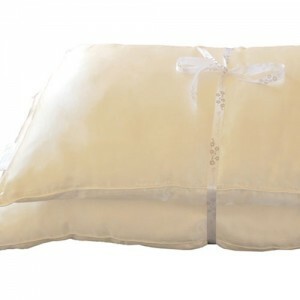 Silk is warm in summer, cool in winter and is excellent for allergy sufferers, as well as being extremely comfortable. Once you have experienced the pleasure of sleeping on a soft, light and luxurious silk filled mattress topper, you will never want to sleep on a plain mattress ever again! 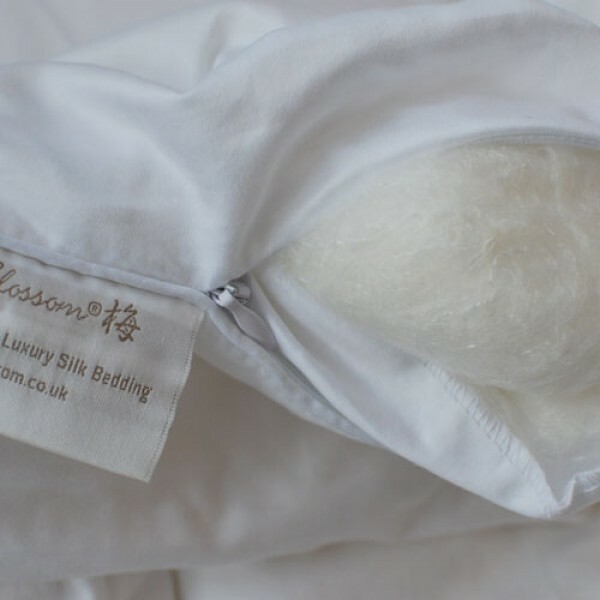 Silk is naturally hypoallergenic, unlike feathers, down and wool; it is inhospitable to dust mites making it a great alternative for allergy sufferers. Snow Blossom mattress toppers are finished impeccably. The topper has a piped edge all around and strong elastic bands at the four corners that you can easily loop over the corners of the mattress. Watch our short film to learn how the toppers & duvets are made and why they are so luxurious.